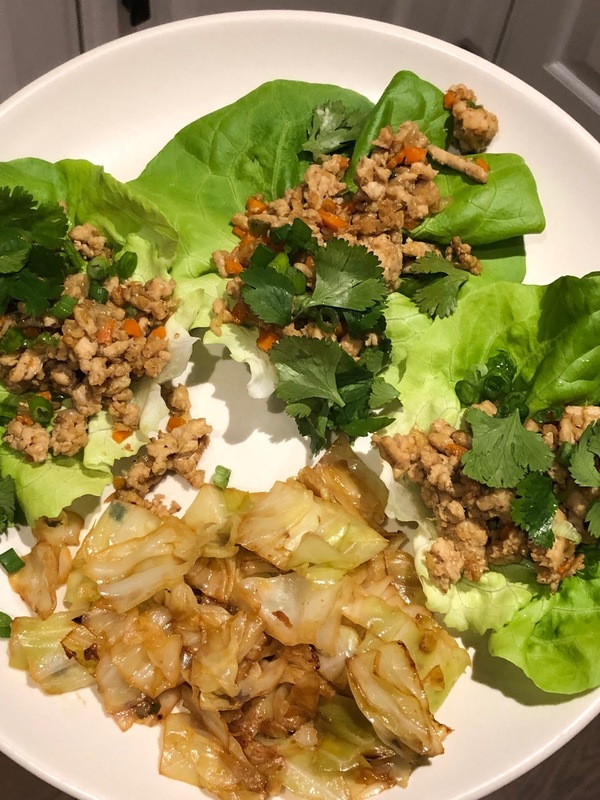 I'm obsessed with the Mr. Chow-Style Minced Chicken with Lettuce Leaves from Gwyneth's cookbook It's All Good. So flavorful. 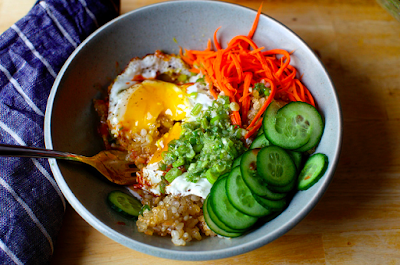 I love the mix of sweet and spicy with the Hoisin and Sriracha. I used store bought for both to save time. I served with Asian sautéed cabbage. I usually do the cabbage with garlic and ginger slices, sriracha, chicken stock and soy sauce/tamari. My friend Amy told me about this chicken burger recipe. It's a good way to sneak some veggies in a burger and so delicious with the kimchi. Pre-heat oven to 350 degrees. Pan fry patties in olive oil and butter until brown. Place in oven to cook through for roughly 10 minutes. Thanks to my friend Stacy this has become a staple in my house. I make it regularly for a great dinner with lots of leftovers. I also made it for our New Year's Eve dinner party to serve a group. The best part is definitely the torn up baguette after it gets crispy and flavorful in the pan. I usually skip the anchovies but always serve with the arugula, dressing from pan drippings, and lemon wedges. 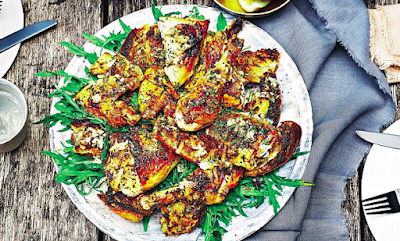 Also great served with GP's polenta with roasted tomatoes and burrata. It was such a fast meal and so delicious. I used white rice, skipped the cucumber and did half the dressing since I knew my kids wouldn't eat it. Loved it!